I went to my friend's wedding this past Saturday, and it was probably even more exciting than my own. Okay, that might be an exaggeration but I really did enjoy it because for the first time in many months, I was a guest. Being in a wedding is an honor, but it can also be nerve racking! I was happy to just sit back and be an observer this time, especially since my husband was the best man. I have one more wedding to attend in June. All of this has me thinking about my wedding guest style over the years. I wanted to get a good full-length picture of my outfit but I was so caught up that I forgot to ask. The cobalt blue was perfect because it matched the color scheme of her wedding. This blush/peach dress is what I wore in my best friend's wedding, and then I wore it again less then a month later to my own dress rehearsal. Now let's go back a few years. This is an Instagram photo because my camera quality was so ridiculously terrible when I first started blogging, that just the photo of myself makes me reach for my glasses. I'm actually embarrassed! But, we all gotta start somewhere, right? This black Express dress was my choice. I believe I was 25 here, and my friend Nicole was the first of my circle to get married. I have NO CLUE what I'll be wearing in June. The dresses I picked out and mentioned in this post unfortunately don't make the cut, unless I can manage the green one. I've been doing some research on Pinterest. So what do you ladies recommend? Do you have any weddings to attend this Summer? Thank you Gina! I had nothing planned for my blog this week! I totally forgot to take outfit pictures, and things have been so hectic. Anyway, at least I'm having fun :) And yes, I'm trying to slowly grow my hair again. Probably not as long as I used to have it, but not as short either. It's a process! What a great recap! You chose so well! agree with Gina I love the short but the long hair is so darling with the soft curls. 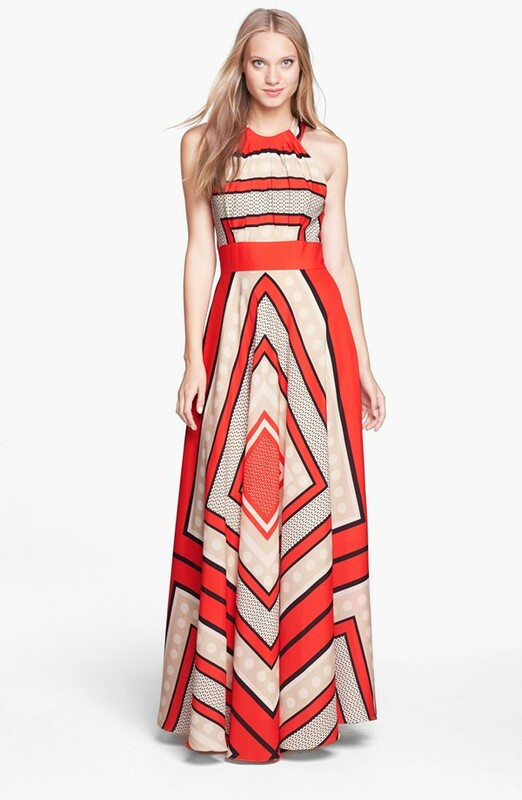 If I was going to a wedding I would wear that dress http://shop.nordstrom.com/s/donna-morgan-print-cotton-midi-dress/4003250?origin=category&BaseUrl=Dresses I'm tempted to get for no reason lol. It's so pretty. Gorgeous! What a pretty dress at my favorite store ( even better). Thanks for the recommendation on my hair! I am trying to grow it out, but it's taking a while. I'm starting with a longer type bob first, then going from there. The trench and the blue dress perfectly match. Love it! Great picks of outfits. Thank you! That's probably my favorite combination - cobalt, black, and white. Love all your looks! And I agree that last floral dress is perfect!! Look at you - you've always picked the perfect dress! I thought maybe I'd see an evolution of style - but your first wedding style dress (the black ribbon dress) is as gorgeous as your most recent one!